Our sports editor Steven Okonek with the assistance Jason Zaleski of the Zaleski Sports Show sat down and projected out the playoff field if the season ended on Sunday. We based our projection on Overall Record, Conference Record, the strength of the conference and non-conference games played. Today we release our projections for Girls Basketball in Divisions Five and Four. Columbus has a tough path ahead with three of the top four teams in the Cloverbelt Conference to close out the season, a win against one or more of them could do a lot to help the Dons. Loyal has a grueling schedule ahead, including back to back games against Neillsville and Colby in early February and play three times that week. Much like Columbus above the Greyhounds need to get a win in one of those games to keep hold of their seed. WI Rapids Assumption currently sits 3rd in the Marawood South behind Division 3 Stratford and Wausau Newman, they do still have a tough few games left at home against Prentice and Newman Catholic at the end of this week and early next week. Either way, they are pretty firm as the two seed in their Division 5 section. Newman Catholic has been tied or lead the Marawood South for the majority of the season, coming off a win against Division 3 Stratford this past Friday cemented them as the one seed in this section, They do have a tough game against Assumption next Tuesday, but a win there should clinch them the Marawood South title. Another Tough year for the Rockets, but anything can happen in the playoffs. Abbotsford has a lot of games left to play, including two non-conference games, and three games in four days this week. Abbotsford will have to dig deep through this final stretch to hold onto their seed. We gave Auburndale the nod for the five over Abbotsford because of the grueling schedule they have to play in the Marawood South, and the injuries they dealt with in the middle of the season. As they have gotten healthy they have rattled off 4 straight wins. The Apaches do have some tough games down the stretch that could have an effect on their seed. Pacelli has had a great year, but in a section with some excellent teams, they fall down the seeds a little to three, in any other section they could be looking at a two or even a one. A win at Division 2 Antigo on Thursday could be enough to get them moved up to a two seed. Neillsville will have to be road warriors to hold on to this spot, as the only home game they have left this regular season is against one win Granton. Neillsville will have to play tough to get through this stretch and hold onto the two, with Pacelli lurking close behind. 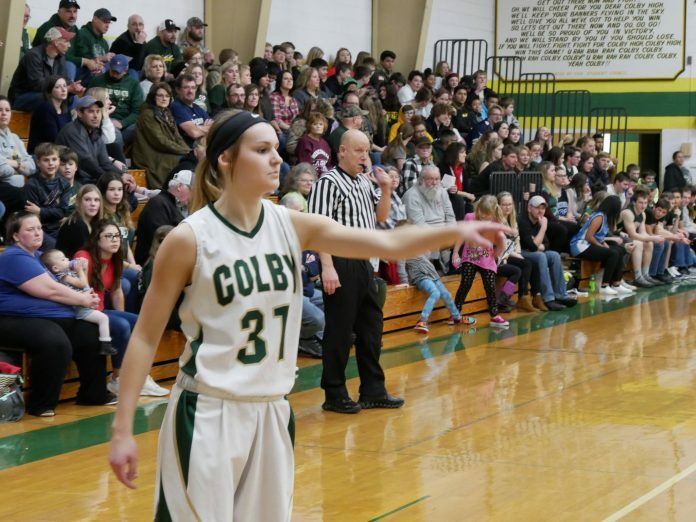 Colby has dominated their opponents all year, with their closest game being a 5 point win over Division 3 Stratford, in fact, that is the only game that they did not win by double digits so far this season. They do have a few games left that may prove tricky, a trip to Athens and Loyal at home, but as long as the Hornets stay on track they are all but a lock for the one seed.